Donelle works with individuals and couples. My aim is always for the person seeking help to feel that the room is theirs. Their worries are important and I take them seriously and their concerns are never too small or too big for me to hear. My hope is that the person experiences me as someone who accepts and supports them without judgment and that for the time they are in the room with me, and after they have left, they feel really heard. In my approach with people seeking help I always endeavour to be really present with them. To bear with them what they may not be able to bear alone and to walk with them as they discover what it is to be them. To allow them the space, time and focus that may be needed to develop self-understanding and insight into their particular difficulties, while supporting and encouraging them as they effect the change they want to see in themselves and their lives. Donelle has a Bachelor of Arts in Counselling and Psychology and completed her Masters in Counselling and Psychotherapy at Edith Cowan University. Donelle has furthered her training as a Prepare Enrich Facilitator for Premarital Couples making her ideally suited to those requiring relational assistance, in addition to completing her training in Mental Health First Aid. 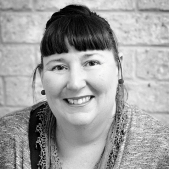 Donelle is a member of the Psychotherapy and Counselling Federation of Australia. To find a psychologist or to book an appointment time with Donelle Green, contact us today.